Porterville College honors and supports the sacrifices of those who have served in our nation’s military and is approved as an institution of higher learning for the training of veterans and dependents of veterans who are entitled to educational assistance. To assist our veterans with their transition from the military to the classroom, Porterville College provides a Veterans Resource Center (VRC) located in the Academic Center building, room 116. The VRC is a relaxing place for student veterans to gather, meet with the veterans’ counselor, study, talk with representatives from veteran service providers, or just enjoy the camaraderie of fellow veterans on campus. In addition, the center provides a copy machine for veteran use, a study room with computers, and a lounge area to have lunch or just take a break. Veterans are also encouraged to participate in the Student Veterans Organization (SVO). The SVO is the student club that advocates for veteran issues on campus and provides a social group setting to help veterans become successful in their adjustment to the college and civilian life. The SVO meets regularly and all veterans are encouraged to come to the meetings or join in its various activities. A Mike's Pass is a free parking pass given to all veterans their first semester of enrollment at Porterville College. (Mike's Passes for subsequent semesters can be "earned" - see the VRC coordinator/counselor for more information on how to earn an additional Mike's Pass). The April 24, 2013 email distribution of the “Today’s News – Office of Communications, California Community College State Chancellor’s Office” included an article titled “Saving a Spot for a Veteran at Cuesta College.” The article was about Cuesta College providing free parking passes for their veteran students in honor of a former student, Michael Mihalakis, who was killed in December 2003 while serving in Iraq. While a student at Cuesta College, Michael joined the Army National Guard and was deployed to Iraq. While in Iraq, Michael was planning to enroll back into classes at Cuesta College and emailed one of his former professors to “save a place for me” in his class because his unit was not returning until soon after the start of the spring term. Within a month of sending the email, Michael was killed in Baghdad. To honor the memory of his former student and especially his commitment to education, the professor began a special foundation account to purchase parking permits for Cuesta College veterans and the parking permits are known as “Mikes” in remembrance of Michael Mihalakis. 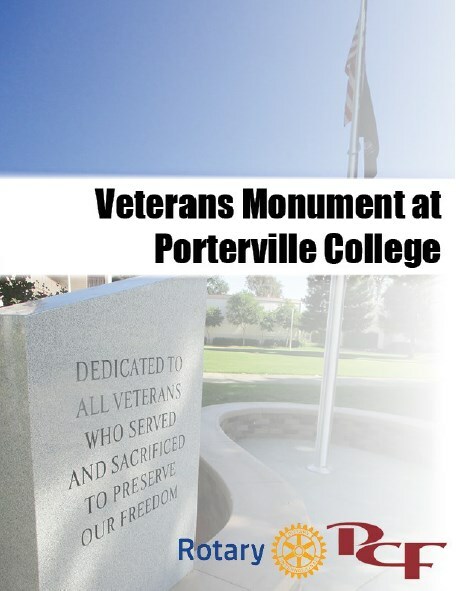 Even though the story of Michael Mihalakis’s sacrifice and dedication to education is the inspiration for this activity, this effort honors all local veterans who have placed a value in education by continuing their academic, career, and personal development by enrolling at Porterville College. As Michael asked his professor to do at Cuesta College, Porterville College would be “saving a place” in the parking lot for veterans to come and continue their education. Mike's Passes are funded through the generous donations of individuals, businesses or agencies in the community. Donations are made to a foundation account established for the specific purpose of providing this additional support to Porterville College veterans. Register for a general parking permit online at www.permitsales.net/PortervilleCollege. Select “other” as your payment method. Print out the receipt and bring it to the Veterans Resource Center coordinator/counselor for verification. You will then be provided an approval form to take to the Business Office for pick-up of your parking permit. 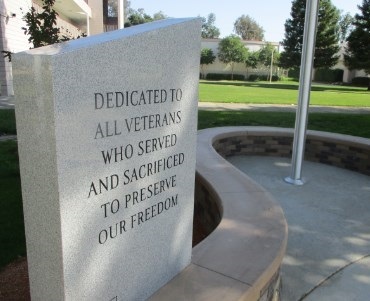 The mission of the Porterville College Veterans Resource Center is to provide assistance and support to veterans and their dependents as they transition from the military to the completion of their academic goals.